So I haven’t written a post in a looonnngggg time. I haven’t updated my yoga journey and I know everyone is waiting on pins and needles to find out what has been going on. LOL. The reason I haven’t written a post is because I have been so busy writing posts for others and getting paid for it…holla!!! 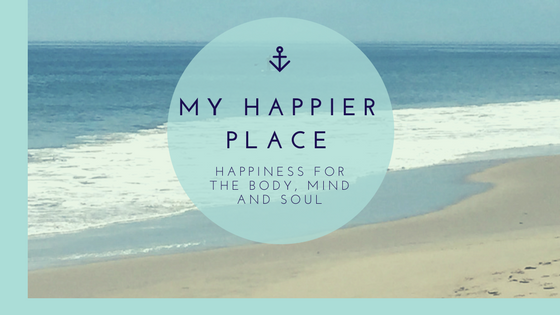 It was about a year ago when I started writing about a yoga journey that I hadn’t even started, but wanted to. One of my readers told me about Yoga with Adriene and the rest, as they say, is history:) If you are a yoga lover and haven’t watched Yoga with Adriene on YouTube, you are definitely missing out. She is my yoga inspiration and helped me on this pathway to following my passion. Shortly after starting the Yoga with Adriene videos, I decided to take a restorative yoga class at my local yoga studio, Centre Yoga. The instructor, Kerri, was so welcoming and uplifting. I knew this was a place that I wanted to be involved with. A few weeks after that class, I got an email from the studio saying they were looking for a social media liaison for the studios. I emailed with my credentials, met with Kerri and, voila, I have been the social media liaison since July 2017. My pay is free yoga!!! I thoroughly enjoyed doing the social media, which consists of Facebook, Pinterest, Twitter and Instagram. They don’t have a blog so the writing piece was the only thing I was missing. I had read another blog post about online work opportunities and that is where I found out about Upwork. It is a site that lists all types of online freelance opportunities. Since signing up with Upwork last summer, I have written over 70 blog posts and I’m now the social media manager for two online companies. It is the best move that I ever made. I have a full time job as a kindergarten teacher, which keeps me very busy. I really needed something that I could do at home part-time. This has been the perfect fit and it is doing something that I LOVE. Last summer, I also decided that I was going to make meditation mala beads for myself. The first set came out so well that I decided to open an Etsy shop, Bead Happiness by Kim, to sell them. I soon ventured out into making other beaded necklaces and bracelets. Through my Etsy store and Instagram auctions, I have sold over 40 pieces of jewelry. My favorite was a request from a yoga retreat to make 20 mala necklaces and 2 mala bracelets. So needless to say, it has been a busy year. I read a lot of books on manifesting what you want. While reading those books, I always thought..”Okay…just asking for what I want is going to give me what I want…I don’t know about that.” Well, I have worked hard for it, but I also thought positive thoughts and manifested positive energy and it worked. Have you followed your passion? This is so cool, you go girl!! You have had quite a busy year and it looks like the best is yet to come. Positive thinking is truly underestimated! A little positivity goes a long way! I can’t wait for the day that I get paid to write stories. I am so happy for you and envy your success. Sounds like you are doing very well! Happiness is contageous so keep spreading it. Love it! I am way too scared of yoga. I am terribly ungraceful. Give it a try at home…you’ll love it. I’ve been really embracing yoga as of late as well. 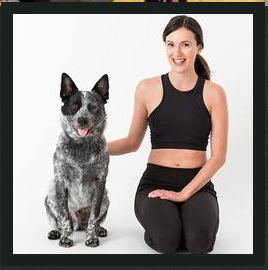 I have not checked out Yoga with Adrienne. Thanks for sharing – I’ll check her out as well. Good for you though for staying busy by landing some great new opportunities! Definitely check out Adriene…she is the best!!! You have been a busy lady. It’s so cool how trying one new thing leads to lots of other things organically. It’s amazing what happens when we open to a new opportunity. You are awesome by the way!! I started yoga about 3 months ago and I am loving it. I always thought it was hippy dippy, but boy was I wrong and I am kicking myself for waiting so long to try it. Congrats on all your new jobs! I think it’s awesome that you get paid for writing posts and get paid with free yoga classes in return for handling the social media. Looks like you’re living your dream. Yes, I’m loving it…wish I could do it full-time!! Following a passion at any age is very important. Wonderful you have found something you enjoy and are passionate about. Yoga is a wonderful way to help a body over all. Everyone needs to follow their passion…it uplifts your spirits. Sounds like you have had a very busy year! Good for you! And I love Yoga..I used to do it pretty consistently, but it’s been a while. Get back to it…you’ll be happy that you did. Sounds like you had a very busy year but a successful one. I have never tried yoga I am nowhere near flexible but I know I could use it. It is definitely something I am interested in. I’m not a yogi, but as I started working out this year, I found myself needing a day a week for stretching out, so I turned to yoga. I actually ran across Adrianne on Youtube at the beginning of February. She has some great videos. No matter what age, it’s not too late to pursue your passion. And happiness. It might just take a different path. Congratulations! I hope 2018 is even better for you. It’s super exciting how everything fell into place for you. I haven’t heard of this yoga you speak of. But I’m going to check it out. You had a busy year. Looks like a lot of good things are coming your way. I’ve really been interested in trying out yoga and I think that youtube channel is a must to check out. So glad you are doing the things that make you happy. Keep it up. I love this post. Doing all of this stuff and making things happen for yourself is very healthy. It’s so nice to follow your passion and do what you’ve always wanted. I’ve been a huge fan of yoga for a long time and it’s good to be involved in classes and a community of people who love it as well. It’s one of the best exercises. Wow, welcome back and congratulations on your work! Never been lucky with upwork since before. Haha Indeed it’s better to pursue your passion. Yay for the power of positive thinking! I recently (2 months ago) got back into yoga and its been incredible for me! It’s become my passion too! It definitely is a busy year and it’s awesome that you’re doing so much of the things that you love. That’s what’s more important in life. I hope you have tons of fun with the yoga classes and all the work that you got! I love Yoga with Adrienne too! Sounds like you’ve had a great year. Keep this up girl. Doing things you are passionate about are the most healthy things you can do. Yoga is so good for stretching the body. My daughter did it in dance class. This is so great. I love yoga. I haven’t done it for a while and I miss it. I have to check out Upwork. It sounds really interesting. I also visited your Etsy page and have to say that the mala beads look beautiful. It sounds like you’ve got quite a list of goals to get going this year so excited for you and can ant wait and cant watch your achieve them.